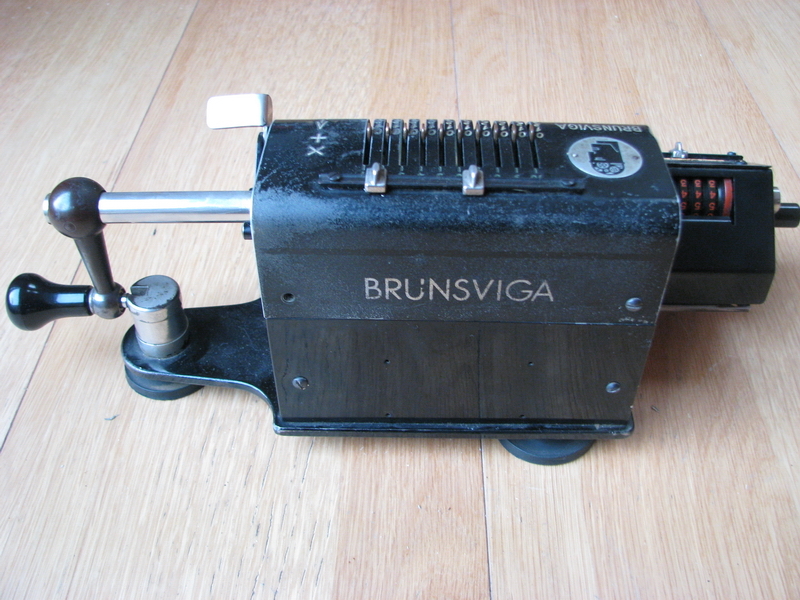 Very small, simple and apparently not so popular Brunsviga - only 2470 machines were built,a nd only for export. The P stands for "Parva" - small. It has numerous simplifications in comparison with its better equipped sisters. There is no input control register, nor a lever for resetting the input. 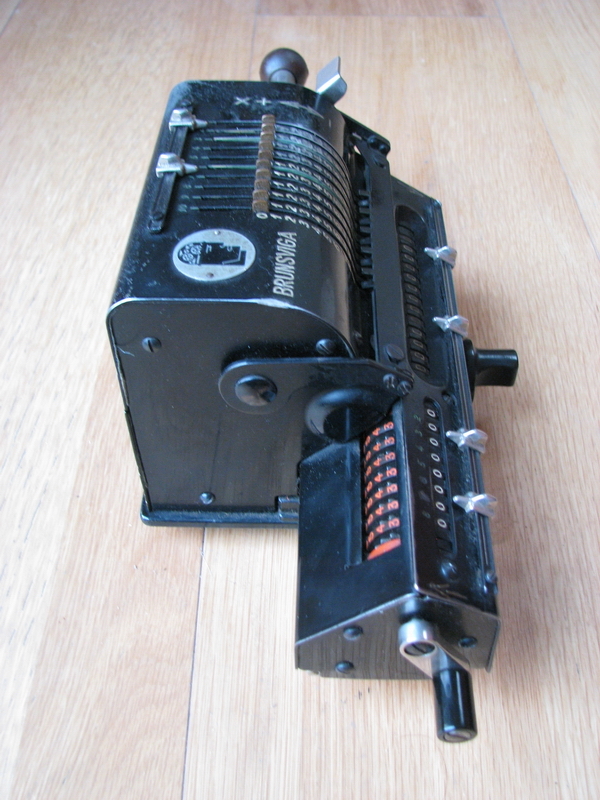 The input reset involves a complicated external mechanism, where pushing the thumb lever shifts the clearing comb to the side so it will catch the setting pins. 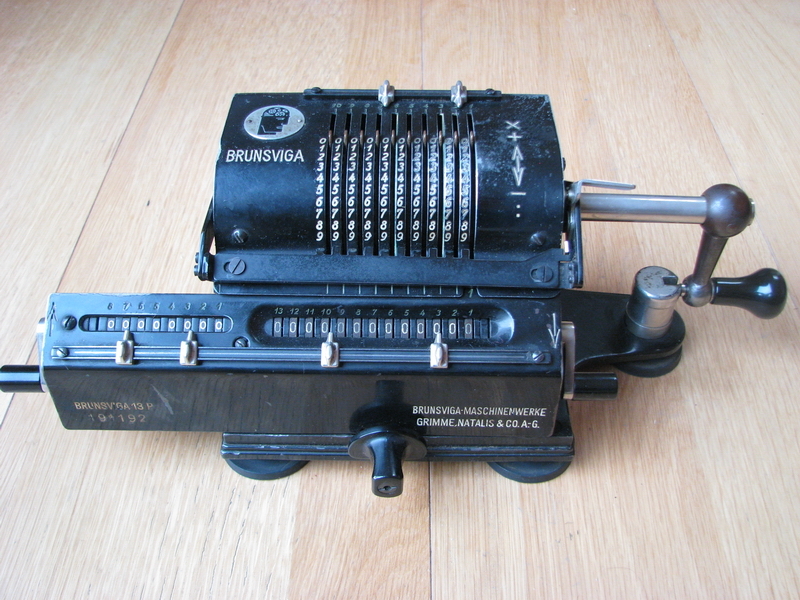 It does not have tens' carry in the revolution counter (or even a cover for the exposed numeral wheels over the back of the carriage), and the clearing handles for the registers have to be rotated over 360°, in opposite directions indicated by arrows on the carriage. 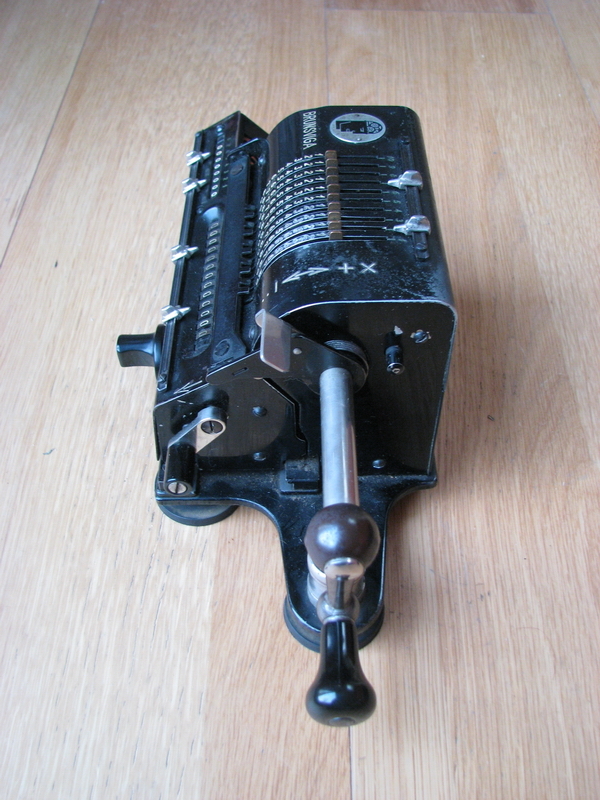 This particular machines was bought for and used in a post office in Bergen-op-Zoom in the Netherlands. Apparently they didn't need to calculate much, or didn't care it wasn't that easy... or it may have been a case of a "given horse" - the machine was built during 1941, and is probably one of the last 13P's built. It might have been an addition to the post office from the occupying forces, and remained there after the liberation. I have very little knowledge about the workings of the postal system in the Netherlands during the occupation.